VERGE IT’s Government Solutions focus is the delivery of systems and processes designed to meet the unique needs of federal, state and local government agencies. We offer consulting solutions, recruitment process outsourcing, and project management services to our clients. We provide our government clients with a team of experienced consultants to manage contract performance and ensure consistent, high quality client service. Our continual approach to recruiting, screening, and credentialing of consulting professional ensures that our government clients receive elite workforce solutions and the proper resources to match their requirements. VERGE IT is large enough to get the job done and small enough to execute fast, flexible, value added solutions. 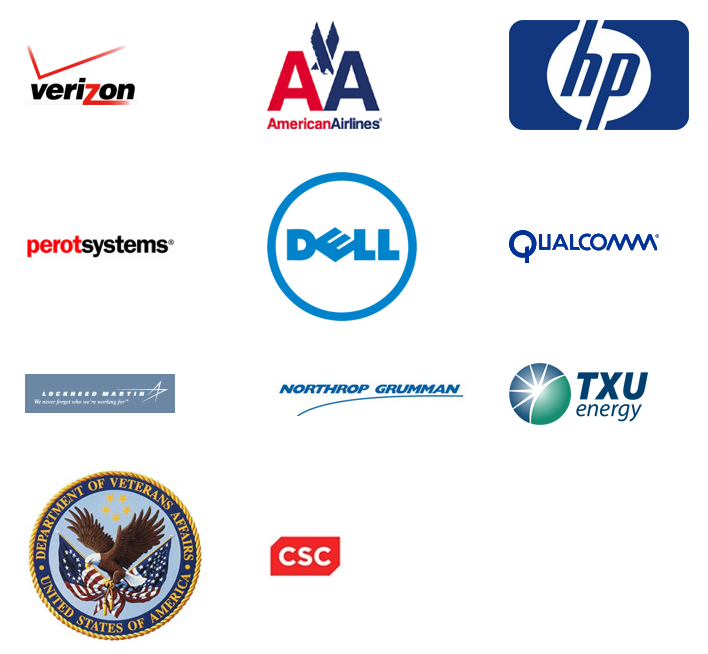 VERGE IT is a proven leader in the field and further assists federal agencies with reaching Small and Diverse Business contracting goals. We have been providing professional, cost effective, and immediate responses to Commercial, Local, State and Federal Government Agencies for almost 20 years. Our professional consulting services are designed to exceed our client expectations. At VERGE IT we provide you with a productive workforce through our commitment to the details. DBE (Disadvantaged Business Entity) – Texas & D.C.
(Native American) by the D/FW MBDC and HUB by the state of Texas. VERGE IT Information Technologies Inc. is an IT/IS Consulting and full service Solutions company. We are a nationally recognized Native American owned and operated company. We are also a DBE (Disadvantaged Business Entity) for the states of Texas, Missouri, Maryland and D.C. as well as a HUB (Historically Underutilized Business in Texas) certified company. We are able to address the requirements of government projects that include sensitive information. Our years of experience in the consulting arena have allowed us to attract and retain the highest quality technology professionals. VERGE IT was founded with the guiding principals of providing outstanding service in identifying and delivering IT resources. This tradition has driven the company’s growth. Our ability to provide a wide spectrum of flexible solutions for your IT requirements in a cost efficient and timely manner has given us an outstanding reputation in the market place. VERGE IT recognizes that your needs are unique and strives to understand those needs accurately so that we can provide you with right solutions and people for your project. We take pride and ownership in helping our clients fulfill their consulting needs. We ensure that you’ll be working with the best by continuously hiring consultants with superior technical skills who also demonstrate a sound understanding of business operations. With IT innovations occurring almost daily, we know the importance of ongoing education for our consultants. Our commitment to training translates to technically superior consultants who approach projects with your ultimate satisfaction as the goal. VERGE IT does its due diligence to ensure you get the highest quality consultants, including complete technical evaluation, reference checks, certification validation, background checks (criminal, financial, as requested) and drug screening as necessary. VERGE IT‘s depth of management, our recruiting and account management personnel, coupled with our strategic partnering and teaming arrangements, allow us to provide a unique single source entity to satisfy our clients’ IT consulting needs. Mark is, senior IT professional with over 25 years of experience, responsible for the overall strategic direction of VERGE IT, including new business development, and growth of new services. Founded VERGE IT in July 2000 to provide full service IT/IS solutions to leading commercial clients. Mark brings a deep market knowledge and clear perspective of evolving client requirements. A true leader, he challenges everyone at VERGE IT to raise the level of excellence in service and dedication. His focus on professional development of local and national teams, as well as the organization as a whole, helps assure that high expectations are not only met but exceeded. His ongoing commitment to professional development ensures that VERGE IT’s staff members are appropriately challenged, acknowledged, and rewarded. Mark has a long Sales, Recruitment and Management background in Information Technology, Financial and Telecommunications industries. Along with our Commercial clients he is leading the way in the Federal Government sector. He began his career with Force5, where he was trained in the business from the ground up. His first position was working with the CFO learning the financial side of the business. He was then groomed by the CEO on the Sales and Recruiting side of the business. This well rounded knowledge allowed him to better understand the Business, Client and Consultant portions of the business expediting his success and impact on the company. Mark’s strong personal and religious belief is what drives him to work with the highest level of integrity and moral ethics. He expects that anyone who works with VERGE IT will represent this level of integrity and professionalism to our clients. In addition to his faith, he enjoys spending time with his beautiful wife and two boys. He is involved in coaching his son’s football teams. He is an avid outdoorsman, who enjoys spending time in the mountains hunting, hiking, fishing, biking, camping and riding ATV’s. He believes that quality of life is better that the quantity of things that you have in your life. Mr. Baldwin is a seasoned IT Consulting Professional with over 30 years of experience in the areas of Operations Management, Accounting/Finance and Administration. His industry experience includes both national and international business development and recruitment. He has experience in immigration / visa and green card processing. Sectors for contracted personnel include Manufacturing, Telecommunication, Healthcare Management, Warehouse Distribution, Financial Reporting and Software Distribution in multiple environments from mainframe through midrange and client server networks. He possesses strong strategic planning, technical, analytical, financial and business acumen.